Datavia Systems is a technology company that aims to revolutionize the way hardware and big data is managed. Datavia technology is focused on the design and production of dedicated and application-specific hardware control and big data management platforms. 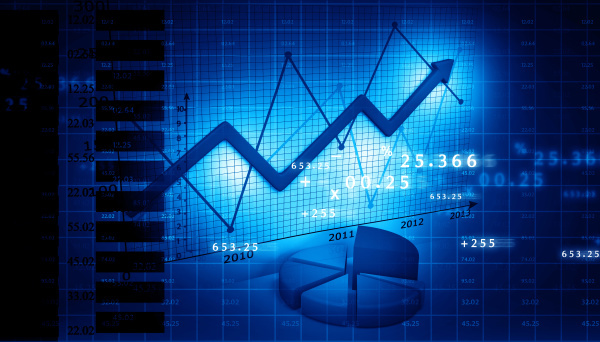 Datavia Systems is ready to work with investors and strategic partners for business growth. Datavia Systems is an emerging startup company developing software and hardware control platforms for big data management. The company is founded by a seasoned team of industry veterans and technology experts in electronics, optics, and software with a proven track record of developing cutting edge hardware solutions. Dr. Soroori is a serial entrepreneur with expertise in microfluidics-based diagnostics and life science microscopy & imaging. He has led international academic collaborations between the US, Canada, Asia, and the Middle East focusing on commercialization of centrifugal microfluidic platforms for diagnosis of endemic infectious diseases. He is the founder of Key Lead Solutions, an innovative reseller of microscopy and imaging equipment for the life science market and Soshiant, which provided international wholesale telecommunications and medical device export consulting. Additionally he has held technical sales and marketing positions at microscopy, imaging, and research instrument companies including Andor Technology, an Oxford Instruments company. 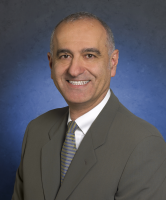 Dr. Soroori earned his BSc in Bioengineering from the University of California, Berkeley, and his PhD in Biomedical Engineering from the University of California, Irvine. Sheldon Smilo is a seasoned technology expert with over three decades of experience in the digital imaging and electronics industry designing complex systems. He specializes in imaging algorithm development and systems integration of robotics, remote sensing and automated inspection systems. Sheldon has lead teams as a software development manager at Biomagnetic Technology Inc. and as image processing manager at Applied Resources Inc. In addition, he has extensive experience in product design and data analysis working for IOS Technologies Inc. and Lockheed Electronics Corp. As a consultant involved with various projects, Sheldon has developed machine vision systems, including integration of MEMS accelerometers/gyroscopes. He has designed numerous scientific lighting systems and integrated embedded systems for industrial, medical and military applications. Sheldon holds a BSc in Mathematics from the University of Nevada, an MSc in Mathematics, with Minor in Physics, from the University of New Mexico, and studied Electrical Engineering at the California Polytechnic College. Kevin Giroux is an experienced sales manager with a demonstrated track record of achieving various corporate goals. Kevin’s expertise is in leading teams in both start-ups and established organizations, with a key focus on encouraging innovative thinking and achieving results that motivate and inspire teams. As the national sales manager at Andor Technology, Kevin has developed and re-energized channel sales through data driven decisions and has established new custom lead generation programs. As the director of sales at Zipit Wireless Inc., a start-up in the software space, Kevin was responsible for leading the Northeast region team and building relationships with institutional clients. As the marketing and global sales director at PerkinElmer Inc., Kevin led innovative projects designed to improve operational efficiency and identified improvement priorities for PerkinElmer’s life science tools business. 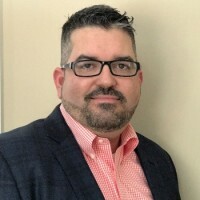 At Datavia Systems, Kevin is responsible for building relationships with institutional clients, designing sales targets, and leading the sales team. Kevin obtained his BSc in Science, Biology & Nursing, with a Minor in Business Administration, from the Fitchburg State University. Kevin served as a Sergeant in the United States Army, in the Communications Signal Corps, and is Certified Combat Lifesaving. M​r. Tchakerian is a seasoned senior sales executive having worked in the semiconductor processing equipment and scientific instrument businesses. He brings deep cross-cultural experience working and traveling worldwide. He has served in global operations leadership capacities at Carl Zeiss, Xradia (acquired by Carl Zeiss in 2013) and Tegal since 2004. He has held executive sales roles at FEI (acquired by Thermo Fisher) and SEZ (acquired by Lam Research). 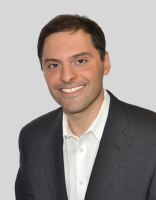 Mr. Tchakerian also co-founded Jasmine Sales Group, a manufacturer's rep company and served as its president. 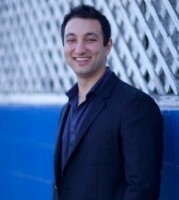 Mr. Tchakerian earned his BS in Chemical Engineering from the University of California, Berkeley. Professor Gratton holds joint appointments as Professor in the UCI departments of Biomedical Engineering and Physics, and also in the College of Medicine. He is principal investigator of the Laboratory for Fluorescence Dynamics, or LFD, a National Center for Research Resources supported by a grant from the National Institutes of Health. The LFD has reached international recognition for the development of instrumentation for time-resolved fluorescence spectroscopy using frequency domain methods. Dr. Gratton uses fluorescence to study cellular processes including protein aggregation, membrane interactions, and migration of cells, to track moving particles, and to analyze collagen formation and deformation. This research leads to a better understanding of cell function, with potential application to diagnosing and identifying treatment for many human diseases, including Huntington's disease, kidney disorders, and cancers. At Datavia Systems, Dr. Gratton provides strategic advice on the latest scientific trends and market needs. Professor Tromberg is the Director of the Beckman Laser Institute and Medical Clinic (BLI) at the University of California, Irvine (UCI) and principal investigator of the Laser Microbeam and Medical Program (LAMMP), an NIH P41 National Biomedical Technology Center in the BLI. He is a Professor with joint appointments in the departments of Biomedical Engineering and Surgery and has been a member of the UCI faculty since 1990. His research spans the interdisciplinary fields of Biophotonics and Biomedical Optics with particular emphasis on the development of new technologies for medical imaging and therapy. 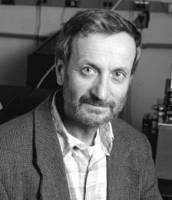 His work includes more than 300 publications and 18 patents in Biophotonics technologies and their application to problems in cancer, vascular disease, neuroscience, and critical care. 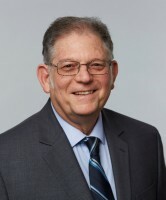 He serves on several national advisory committees, including the Experimental Imaging Sciences Committee for the American College of Radiology Imaging Networks (ACRIN) and is a council member for the NIH National Institute of Biomedical Imaging and Bioengineering (NIBIB). Dr. Tromberg has received several awards for his work, including the R&D 100 Award and the OE Magazine Technology Innovator Award, and is a Fellow of the International Society for Optical Engineering (SPIE) and the American Institute for Medical and Biological Engineers (AIMBE). At Datavia Systems, Dr. Tromberg provides strategic advice on the latest scientific trends and market needs. Dr. Azartash received his PhD in Biomedical Engineering with emphasis in vision science from University of California, Irvine in 2010. He has been actively involved in the biotech space holding scientific and managerial positions at Allergan, Abbott and most recently as the CEO and co-founder of Kadho Inc. where he is integrating the fundamentals of neuroscience with mobile platforms to bring neuro-enhancing and neuro-protecting products for consumers. 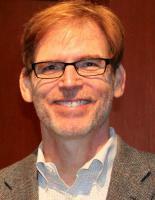 He holds several patents and publications and is an advocate of cloud computing for B2B applications. At Datavia Systems, he provides strategic support for software content development on global platforms. Datavia Systems has developed a proprietary technology platform for the acquisition, processing, and storage of 3D image data for various applications such as autonomous transportation. Artificial Intelligence (AI) and FPGA-based imaging software are used for high resolution and real time 3D image processing. Datavia's 3DEEP technology maximizes efficiency for performance, power consumption and cost by using state-of-art AI and FPGA’s.